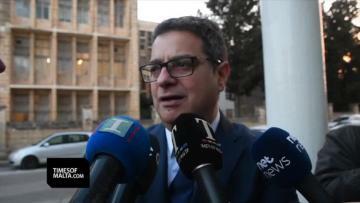 The Administrative Council of the Nationalist Party said on Wednesday its members had unanimously declared their backing for leader Adrian Delia. The council also condemned what it described as "coordinated and malicious attacks being made against Dr Delia and the party." The council's statement was read out by PN general secretary Clyde Puli at the end of a four-hour meeting. He said the grassroots had spoken and from now on, it was business as usual in the PN. He did not take questions, including whether allegations against Dr Delia had been discussed. Before the council's meeting, Dr Delia told reporters that his personal issues were just that, and they should not be a concern to his party colleagues for as long as they did not impinge on his duties. "My personal issues are certainly not impinging on my duties. I am working every day, harder and with more commitment, and there should therefore be no concern for those around me," Dr Delia said in reply to questions. He said he believed he enjoyed the full support of the council and no one had told him otherwise. 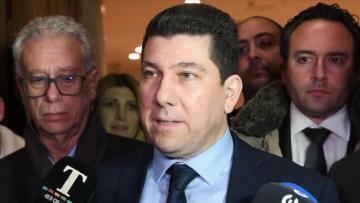 Asked when the PN parliamentary group would be convened again, Dr Delia said the group met regularly according to issues raised in parliament and when matters need to be discussed in detail such, citing the last meeting on December 27, which was called after the government, over the Christmas period, tried to dispose of a large tract of land by stealth. He did not know when the group would meet again. 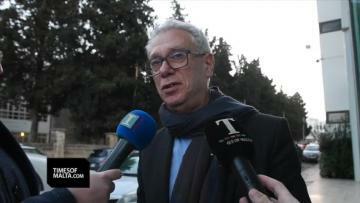 Times of Malta reported on Tuesday that the PN's executive committee is to meet on Thursday to discuss allegations being made against Dr Delia. Allegations of domestic violence were made by his wife in separation proceedings. A defiant Dr Delia has vowed to stay, branding the accusations part of a plan to oust him by exploiting “private life” issues. In its statement on Wednesday, the Administrative Council also said that it had a number of new candidates approved for the local council elections.